If I Can Do it Myself.....: Thank you Mr. Grill! I just received these Mr. 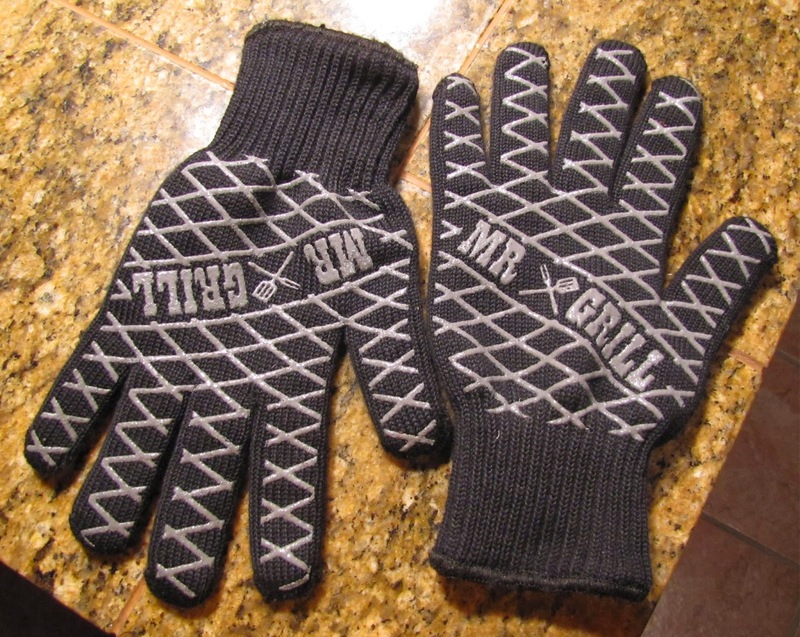 Grill Heat Resistant Grill Gloves from Rizzi at Mr. Grill and have been ask to give them my opinion on their performance. The gloves with sell for $29.99 are made from kelvar and nomex. So far I have been very impressed with their ability to protect my hands from heat. They did a great job keeping my hands from burning while I removed a rotisserie chicken from my gas grill. 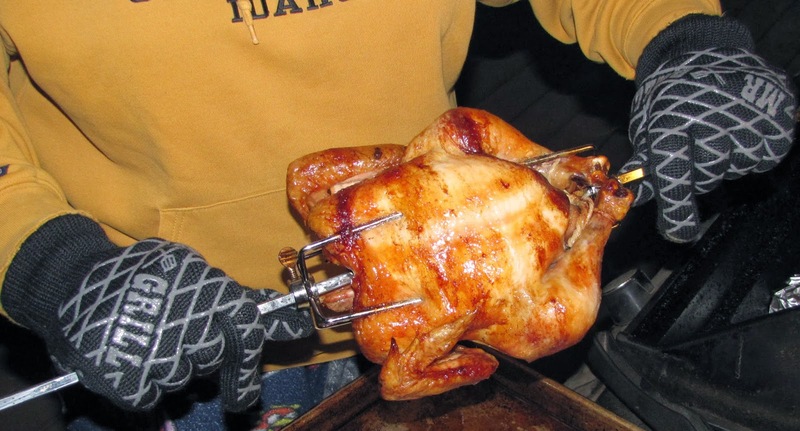 In the past, I have used fairly heavy duty oven mitts to grab the rod that supports the chicken over the grill but by the time I reached the kitchen from our where are grill is outside, the heat was almost burning my hands through the mitts. Not the case with Mr Grill's Gloves, my hands stayed cool and the gloves also gave me the dexterity to easily removed the hot rotisserie hardware from the cooked chicken. 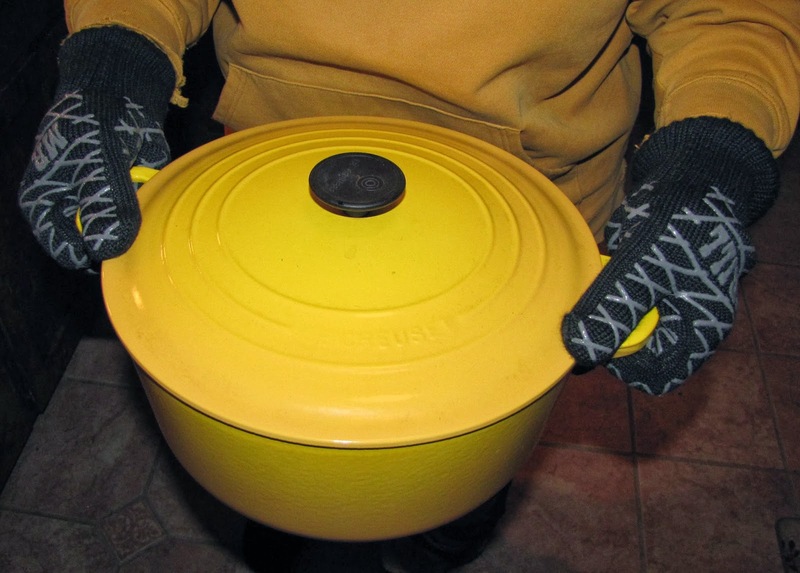 In addition to grilling, I loved using these grill gloves to securely grip my 8 quart Le Creuset dutch oven. The silicon on the fingers grip the enameled surface and I didn't even worry about dropping a piece of cookware that is not only very heavy but also cost quite a bit. I highly recommend these gloves. Definitely a great addition to my cooking toolbox. They are heavy duty and durable, too. They are available from Amazon. Nice products, thanks for sharing.